The sensational news which was making rounds on the web is all about superstar Shah Rukh Khan's forthcoming movie "RA.One"'s leaked song "Chammak challo".RA.One songs were all composed by music composer duo Vishal-Shekhar.Vishal Dadlani one of the composer says that it is very sad that the song was leaked few days back. Vishal tweeted on this song as "'RA.One' theatrical promo and the sad and criminal 'Chammak challo' leak is all anyone's talking about. All I can say is, while I'm glad you guys are loving it all, you haven't seen or heard ANYTHING yet! The film, and the finished song will BLOW YOU AWAY!,"
Vishal Dadlani was upset on the media as they confessed Chammak challo was composed and sung by American R&B singer Akon. Vishal clearing the airs said that Chammak challo song was composed by Vishal and Shekhar ,i have written the song and Akon has sung the song in his own way which came out really rocking. 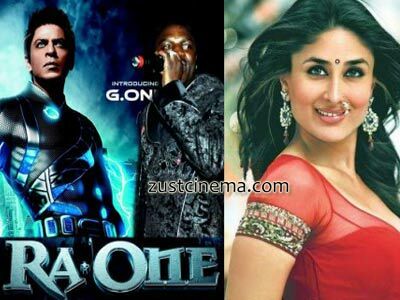 Shah Rukh to come as superhero in RA.One while Kareena Kapoor playing the love interest to him in this film.Shah Rukh is co-producing this film in his home production banner Red Chillies Entertainment in association with Eros Entertainment. RA.One is all set to hit big screens worldwide on Oct 26.